What Now… – Erins Journey to Motherhood. I have been feeling pretty devastated these last few weeks. Yes my bleeding led to a miscarriage, bleeding after like a period for about a week. I didn’t take any extra time off. Though this weekend that just past H and I went and visited his brother and family in Timaru for 2 nights, then traveled inland and camped in a valley up I the mountians surounded bh silver beech trees and birds. Getting away was a good distraction, but the night we were home there was a letter saying our next ivf consultation is in July, that made me feel really down again, it is so far away and it means we might not get our next ivf for 6-10 months after that. It is our wedding anniversary on Monday, our second. 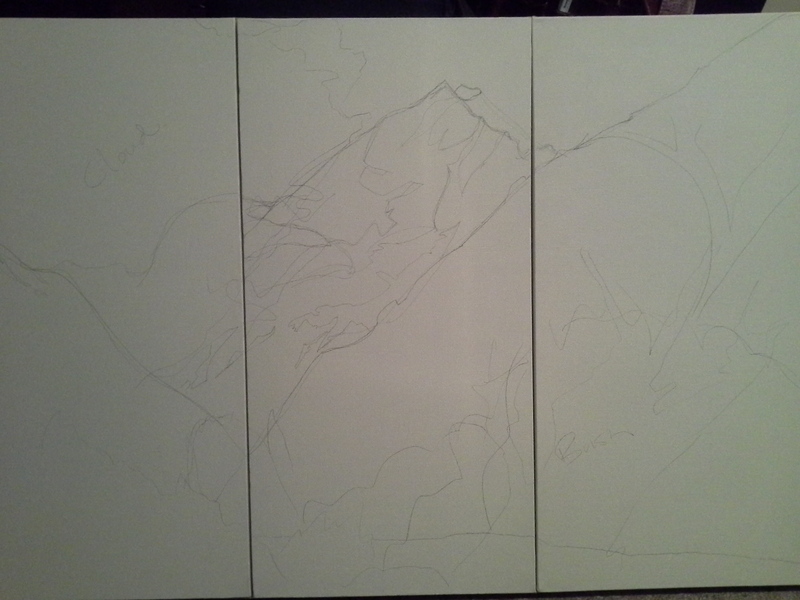 H will be getting work in progress im afraid, the plan was the paint him a painting of Mt Cook Aoraki, but I haven’t been in the mood to paint, I got the canvases all preped and ready, and have scrawled some outlines but the paint is yet to hit the surface. Mt Cook Aoraki was really close to where we camped, it is also where H spent a year working at a hotel when he was 19, it is a special place for him.